VerticalScroll JT1 is a module for Joomla! that displays and continuously scrolls through the items entered. It uses Jquery to scroll. It features parameter options for size, scrolling speed, pausing on mouse-over and more. This module allows you to list dropdown menu items. After installing module you can select Joomla Menu or Enter your own links easily and use it as a dropdown menu.It can be used as template chooser with "?template" command. ShowIp JT1 Module is a free extension developed by Joomlatema.Net. This module shows visitors Ip address. Jquery Jumpmenu JT module allows you to list dropdown menu items. It uses jquery for dropdown selectbox. Toolbar JT1 Module is a free extension developed by Joomlatema.Net. It is a bottom fixed Toolbar which shows a solid bar at the bottom of your site. JT Scroll to Top adds a linked button with or without a text which appears when the users scroll down, and disappears when users reach the top of the page. Scroll to Top button quickly scrolls the page to the top once it is clicked. EZ Realty Caps Module New ! EZ Realty Caps is a caps module, allowing you to display property listings in a range of formats with caps- eg. plain thumbnails - or images in combination with property information. Fixed Bottom Bar JT New ! Pop Up JT will let you to add an animated Pop-up on any page.It can be installed as a Joomla Module and published on any page you want. You can add Joomla Modules (up to 6 modules) or Manual Text in Pop Up Window. There are a lot of Pop up and Hide animation options. Auto open or Manuel open (when clicked a button) is possible. You can set a duration time to close. Prayer Times JT Module helps you to displays the Islamic Prayer Times on your site based on a html file taht can be edited (prayertimes.html). You should enter prayer times to prayertimes.html for once then module reads data and shows according to the current date. Fotorama Responsive Gallery is a simple, stunning, powerful and and mobile-device compatible jQuery gallery has a lot of options on backend. Maxx is a Modern Clean & Creative Joomla! template suitable for any corporate business or portfolio,It’s created by using the latest techniques : HTML5 and CSS3. With a extremely responsive design. Wisadmin is a free stunning Joomla! ® 3.X Responsive Admin Template built for your Joomla! sites. It is Joomla! 3.x Compatible and has Responsive Design. Aqidah Ku is a free Kunena Forum Template developed by JoomlaTema.Net. It is Kunena 5.0.X and Joomla 3.x Compatible and has Responsive Design. BootsideMenu JT is a simple lightweight jQuery based module used to create side menus/panels that smoothly slide out from the edge of your screen when toggled, built with jQuery and Bootstrap. 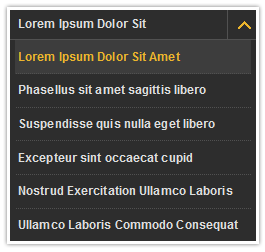 Jquery Jumpmenu JT Module is a free extension. Module allows you to list dropdown menu items. It uses jquery for dropdown selectbox. Have you ever wanted to have a Joomla! 3 admin interface looks like Joomla! 2.5? Vallis is a Joomla! 2.5-Style Administrator Template for Jooml!a 3.x. Basement is a Clean, flexible, responsive, multi-purpose Joomla! Template on both layout & image.